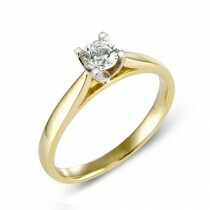 A single round brilliant cut diamond weighing 0.30cts in a four claw setting. This mount has extra thick claws for strength so that the whole diamond, right up to the tip (or culet) is visible when viewed from the side. 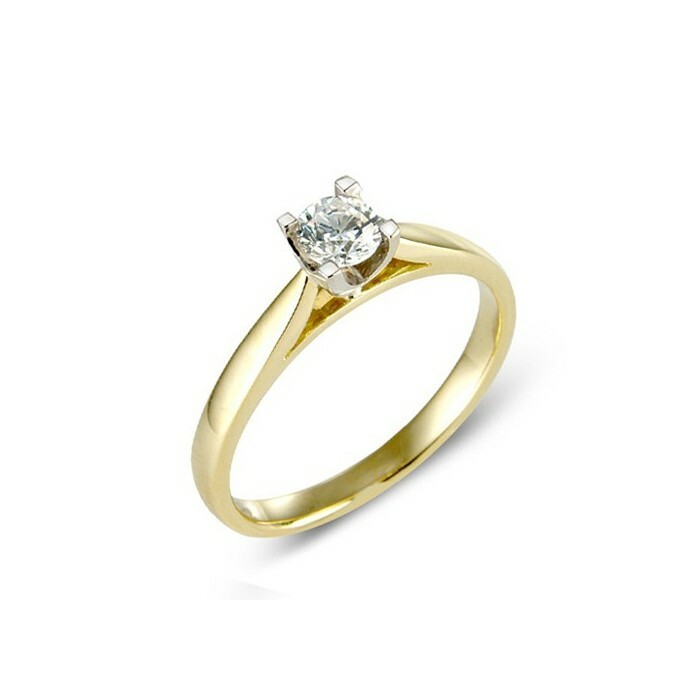 This ring is made in 18ct yellow and white gold but it is available in other metals and diamond weights.